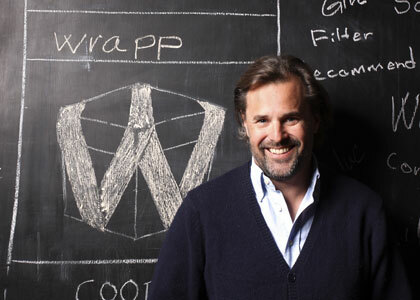 Exclusive: Wrapp CEO goes toe to toe with Samwer bros.
Hjalmar Winbladh is angry. The normally unflappable Swedish CEO of gift-giving startup Wrapp, and a serial entrepreneur with a string of successful businesses behind him, thought he’d seen it all before. But then he ran headlong into Germany’s infamous Samwer brothers, Europe’s copycat kings. He’s talking about the arrival of DropGifts, a clone of Wrapp that appeared from the Samwers’ Rocket Internet factory last month. 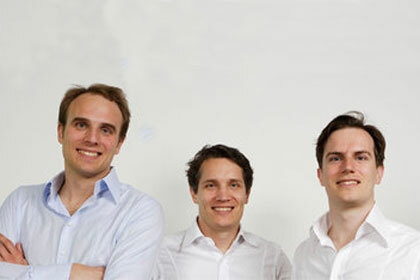 The launch struck me as a significant escalation by the German trio because it moved away from Rocket’s tried-and-trusted model of cloning successful American websites, and instead chose to target a months-old European startup with an interesting but largely untested business. Sure, Wrapp — which partners with retailers to let you give gifts to your friends through Facebook — has got some substantial investment and strong credentials … but it’s barely out of the starting gate. Over the last few weeks, Wrapp’s team has had time to digest the news and work out what the appropriate response is. And their decision? It’s time to come out with all guns blazing. To begin with, the company’s entire roadmap has been moved forward. The site currently only operates in Sweden, but Winbladh says a slew of new territories will be added much faster than had previously been expected — we’re talking weeks, not months. This, he believes, should prevent DropGifts from being the first mover in most important markets. And in order to fund that rapid growth, the company is also ready to speed up another part of its plan, turning back to investors to build up its warchest — despite having only closed the last $5 million of its Series A investment in January. Winbladh says that although this is not what he expected to be doing right now, it will not be difficult to move so rapidly to the next phase of financing. And while the bluntness of the copycat has clearly riled Wrapp’s team, they also seem to understand that the best way to outrun a copycat is to do a better job. And here is where they think they really have the jump on their rivals: strong existing relationships with partners, more big partnerships on the way, and a team that is focused on doing its job properly. Some stores, he says, are being “aggressively pursued” by DropGifts salespeople, but many of them are subsequently approaching Wrapp to voice their concerns about the German business. And his belief is that the Samwer brothers will make poor partners for other businesses because of their track record and short-term outlook. Ultimately, he says, the conflict between DropGifts and the rest of the Rocket empire could be its undoing. WOW, an early stage startup with 5 million in the bank needs a copycat to realize that it has to SPEED UP??? You should be going at FULL SPEED already guys! And now you are mad because you can’t leave work at 5pm anymore? That’s business! Welcome to the real world! If you are not good or fast enough to beat a clone you simply don’t deserve to take the market imo.